Over the years, I have learned many things. I would lie to you to suggest that I knew all the answers when I first got into wedding photography. But I have worked vigilantly and diligently to tweak and make fine-tuning corrections to my work flow and techniques. 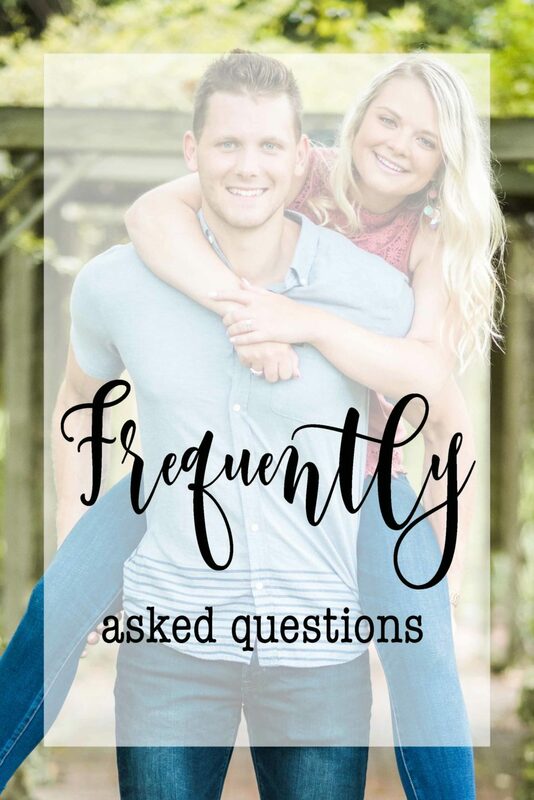 This, in combination with information I’ve been asked time and again, or info I believe all brides and grooms should know when hiring a wedding photographer, allowed me to create this Frequently Asked Questions page. (To separately learn more about what to avoid when hiring a photographer, please READ THIS). Q1: What is your style of wedding photography? By default, I am a photojournalist. I love ambient, natural photography (without flash if possible) that includes as much soft focus and bokeh as possible (of course, darker venues will require added light). I try to capture the story as it unfolds. I recognize art is a subjective thing and I accommodate my clients to meet THEIR expectations. From completely candid, to staged artsy and creative images, all the way to the traditional posey and formal looking-at-the-camera variety. I generally mix things up a bit, but aim to get candid fly-on-the-wall natural light images as often as possible. Q2: How experienced a photographer are you? I’ve been shooting weddings full time for almost 10 years. Along the way, I’ve been privileged to win an award here or there (smile), my images have been published and appeared in catalogues, and have had the occasion to appear as an experienced photographer on television. MOST importantly, you should know that I can spend a lot of time telling you about my accomplishments, but at the end of the day, if I don’t deliver stunning art, then I’ve failed my mission! To learn more about WHAT NOT TO DO WHEN HIRING A WEDDING PHOTOGRAPHER, click here. Q3: What kind of business model do you have? Simple: Relational. Its important to me (and I think it should be important to you) that we like each other. A photographer and the clients should click. What you will realize is that I find a good balance between being professional and relaxed, date I say goofy. Serious, yet fun to be around. Methodical, yet flexible. Omnipresent, yet a fly on the wall. Its a balance learned after years of experience. I can also be gently assertive when necessary, especially when it time to corral excited wedding guests/family to pose. I’ve learned that happy clients make for beautiful images! Lastly, please ask me about my fail-proof 24-point work-flow (CLICK HERE FOR A WORK FLOW TEASER) – I explain step by step the 10,000 things (kidding, of course) that need to happen to create amazing wedding photos. You don’t want to miss this! (most photographers either don’t have one, or don’t share it!). Q4: So I want to learn more about your photography... what next? I am glad you asked. I would love to sit down with you and your fiancé(e) and discuss everything you want to know. CLICK HERE to learn more about what to expect during a free consultation or CLICK HERE to see the questionnaire I use to get things started. Q5: Do you provide a second photographer (second shooter or assistant)? Except for my entry-level package, all my packages come with an experienced photographer who comes with redundant equipment (multiple cameras, lenses, etc.). These 2nd shooters and assistants are not amateurs. They are legit – the real deal. Q6: Do you have backups if you are sick? Knock on wood, I’ve never missed a wedding in my career! But, in the highly unlikely event I am sick, etc., I have several experienced professionals within my network to call on and provide as a backup. Q7: Will you be the main photographer to cover our wedding? Q8: Will you shoot more than one wedding on our wedding day? Q9: What packages do you offer? I offer several “standard” packages, and can customize and tailor a package that specifically meets your needs. My packages are also priced with and without albums. SEE HERE to get started. Q10: What do you wear for the wedding? I wear what you want me to wear. Black tie. Tuxedo. Dark slacks. Jeans (these come in handy when climbing or getting on the ground for artistic shots). Shorts for a beach wedding. You name it, but I try my best to stay “invisible” as much as possible and not stand out. If at all possible, it is recommended that my team and I are permitted to dress in the most flexible way so that we can run around, lay on the ground, or jump high to capture the best photography without limitations! Q11: How do you back up the digital images? My work flow includes triplicate backups. Usually within 24 hours of your wedding, I back up all the raw digital files three (3) times. Twice locally, and once on the cloud. I don’t want to be known as “that guy” that lost your images! You can sleep well knowing your images are safe. Q12: Does an Engagement Photo Session come with your packages? Except for my entry level package, all my standard packages come with an engagement photo session. I highly recommend getting your engagement photos for a variety of reason, not the least of which is it give us the opportunity to get to know each other’s personalities, which will come in handy during your wedding day! I am able to adjust my pricing to add or remove engagement photography as you prefer. Ask me about it! To more about why you should get an engagement photo session and for ideas and getting prepared for an engagement photo session, CLICK HERE. Q13: What is a Venue Walk Through? Most photographers do not do this, so be wary! For all my clients and as part of my work flow, I offer a venue walk-through with my clients, along with their friends, family, and/or wedding planners to visit the ceremony and reception venues about 1 month before the wedding date. Here’s why this: 1) We sit down and collectively review all the logistics (who, what, where, when, how) of your wedding day. The more we all know, the less chance unplanned things happen. 2) We walk around the venues and with your input, I write down a list of spots and ideas for photos to take on your wedding day. 3) I make note of indoor and outdoor lighting conditions so that I can better plan for when kind of off-camera flashes I may need, as well as sunset locations if sunset photos are part of the plan. All that information goes into the ROD (see Question 14). Q14: What is a Run of Day (ROD)? Once we’ve completed a Venue Walk Through, I put together a plan I call “Run of Day” (ROD). Just fancy words for the photography schedule of events. I share this with you, my 2nd photographer (if your package includes one), and we review the ROD to be sure it accurately captured all the major details and make any changes as necessary. You should integrate and synthesize the ROD with the DJ/MC’s schedule for consistency. CLICK HERE for a SAMPLE ROD. Q15: What kind of equipment do you bring to our wedding? I bring about $25,000 worth of equipment to your wedding. Its paid for, so don’t panic! In fact, I don’t use most of it. However, I have it on standby just to be sure I have what I need for lighting, or if I need other equipment such as multiple cameras, lenses, flash and lighting, memory cards, batteries, and other equipment. More specifically, VIEW THIS VIDEO to see what I put in my camera bag! Q16: What kind of digital editing do you perform on the photos? Initially, I use software called Photo Mechanic to go through a culling process – that is, removing all unnecessary triplicates, quadruplicates, images that have a guest walking in front of the camera, images that contain eyes that were shut, etc. That usually reduces that total quantity by about 1/2. For each of the remaining images, I use the latest version of Adobe Lightroom CC and Photoshop CC to adjust things like color/white balance, exposure, contrast, saturation, hue, and if artistically warranted, I will add some filters or black and white conversion. These images are great for viewing and purchasing by family and friends. Additionally, once the clients have selected their “favorites”, I do another editing pass to make sure each image is exceptional and worthy to be added to a wedding album. For a very few select images, I am happy to make “digital plastic surgery” (nip and tuck) as requested (I never modify images in this way without you asking first!). Q17: What are WOW photos? WOW photos are your favorite photos that you’ve selected that tell the story of your wedding day. I always recommend that a couple go through the entire collection of photos together and pick out not only their favorites, but ones that capture different parts of the day so that, pieced together, the final selection tells your story! These favorites that you select go through a second pass of editing as necessary and become WOW!! Check out this page to see how I transform your favorites into WOW photos, as necessary. Q18: How soon after the wedding will we see our photos? Normally, I aim to provide a 25-100 or so images within a few days (usually after 1 day) after the wedding as sneak peek “teaser shots”. I know your eager to see how the photos turned out! After backing up the images it take about 2-3 weeks to cull, edit, and upload the images to a password-protected photo website, where you can share access (Facebook, Instagram, Email, Text) with your family and friends can view the images. This is the same website that allows you to select your favorites. Photos on this website are categorized for your convenience so that browsing is made much easier. I categories all the images in folders often as follows: Getting Ready, First Look, Ceremony, Portraits, Bride and Groom, Friends and Family, Reception, Decorations and Details. Q19: About how many photos will we get? The answer all depends on a few variables. Are you using one or two photographers? How many hours of coverage do you need? Are key wedding day locations close to each other or not? Depending on the answer to these questions, an estimate amount of edited photo you may receive is around 800 – 1,000 high resolution images initially posted to a password protected website and then delivered to you in a nicely packaged USB flash drive. Of course, my assistant and I take many more pictures than that, but you only get the edited ones – the crème de la crème. My goal is that nothing leave my studio that does not look its best. Remember, your specific number will depend on many details and you could actually receive more or less. When we do a consultation, I can predict a little better the estimate range. Q20: How soon after the wedding will we receive our album(s)/digital files? Normally, from wedding day to albums take about 2-3 months. Clients who select their favorites very quickly could see their albums in hand within 1 month. But more often, given that newlyweds are busy getting life started, it take closer to 3 months, and sometimes longer. Its in your hands how quickly (or not) you get the albums. Q21: How do you design wedding albums? I personally design each fine art album using special software and editing tools. Each album takes about 4 or so hours to design. I try to maximize image footprint by uses all the album space to showcase your images. You’re paying for albums, you deserve to see the images as large as possible! CHECK OUT THIS SAMPLE HERE. Q22: What quality albums will we get? All my albums are fine art, hand crafted, lay-flat, flush mounted albums. Most of my packages come with Italian leather, acrylic, or metal covers as you prefer. Each page is real acid-free legacy photo paper (e.g., Kodak Endura) that is mounted on a sturdy backer-board designed to prevent accidental bending of pages. Unless you want to deliberately bend the page, these albums don’t easily bend and are designed to last for many generations. Check out this PROMO WITH ALBUM Video. I carry several types, sizes, and leather colors for you to select. Each album normally comes with 15 spreads (which is 30 pages), but you can add additional pages for a nominal fee. Q23: Do we get Parent Albums? Except for my entry level package, my standard packages come with two (2) Parent Albums, which are black cover, photo paper, lay-flat, flush-mounted albums with a similar layout/configuration as the Main Wedding Album. Clients may ask me to modify the layout for the Parent Albums (to be different from the Main Album), or for request additional albums, for a nominal fee. Q24: How do we see our wedding album proof? Once I’ve completed designing the proof, I send you a full color PDF copy of the album for your review via email. There is small allowance for minor adjustments like swapping out images, or inserting a different image, etc. Once any changes are made, you can view and approve the final design. I then place the order for your album. Q25: When do we get our albums and digital files? Upon placing an order for your album(s), it normally takes about 2 weeks to get the albums in your hands. Of course, my products are professionally and beautifully packaged, along with your nicely packaged USB Flash Drive. Q26: When do we pay the deposit and balance for our selected package? A 50% non-refundable deposit is expected at time of signing a contract. This, along with the contract, guarantees my availability on your wedding date. The balance is due no later than 1 month before the wedding date. I accept checks, credit cards (requires convenience fee), cash, paypal, and Venmo, although my preference is always check to avoid processing fees. Q27: Can we upgrade our package later on? Yes. Ask me and I will be happy to upgrade your albums and other options at the package price, not the a-la-carte price! Q28: Do we have to sign a contract? Yes. We can sign the contract at the end of our consultation, or I can have you sign it electronically (I subscribe to a digital signature service for) for your convenience. In order for me to guarantee your wedding date, you will need to sign a contract and make a deposit. First come, first serve! Q30: How can we best plan for our wedding day photography? CLICK HERE to check out my Wedding Photography Planning Guide for helpful information. And of course, feel free to call, text, or email me anytime! Q31: When do you show up on the wedding day? Unless there are other special plans/circumstances, normally I show up about 2 hours before your wedding. This afford me some time to capture the tail end of “getting ready” by the bridal party, as well as capture the beautiful details and sentimental items (wedding gown, shoes, jewelry, invitation cards, etc.). In virtually all cases, I do “Getting Ready” shots of both the bride and groom. Q32: Do you shoot First Look / First Reveal shots? Yes. It is recommended this begins no less than 2 hours before the wedding (meaning everyone in the bridal part is dressed and ready to go). This means that I show up a bit earlier to cover “getting ready” shots, as well as “first look shots”. To learn more about what a First Look is all about and why you should seriously consider it, CLICK HERE. First Reveal is similar to a first look, but it is between the bride and her dad and/or mom. a Hidden Look is like a First Look but the bride and groom hide around a corner or door and don’t see each other (Hidden Looks don’t afford us a chance to do other photography as the bride and groom elect not to see each other). Q33: Do we get the digital files? Absolutely Yes! That’s what you paid for! Along with any album(s) or products you may have purchased, you will receive a nicely packaged USB Flash Drive containing all of your images in at least two folders. One folder will contain all the images from your wedding (the same ones which were posted on the password-protected website) and another folder only containing your WOW/favorite images (these will probably be the ones you’ll most often use). Although I retain your images indefinitely, I make no guarantees that I will forever be able to access or archive them, so please be sure to back-up your images to multiple devices and media! Q34: Do we retain the copyrights to the images? Yes, we both share the copyright to the images. Technically, I retain the copyrights, but provide you with a limited copyright for your own personal printing rights (does not include friends and family). Q35: What advice would you give us? To read more about the 12 Things I Wish My Couples Know, CLICK HERE. DISCLAIMER: Of course these are the answers in virtually all cases. If there are additional or specific changes to these questions/answers or considerations you wish to discuss, please let me know. There may be unique circumstances your wedding may encounter (planned or unplanned) or circumstance I encounter (usually beyond my control) that may require these details to be modified. As much as is reasonably possible, I will inform you of any changes either before you sign a contract or before, during, or after your wedding day, as is appropriate. As mentioned many times elsewhere on my website and in the contract, photography (and especially the fast paced nature of wedding photography) is an art form, is subjective, and cannot be guaranteed in terms of exact quality and artistic expectations. Rarely however, even my best efforts fall short of the clients’ expectations. If any other photographer says otherwise, they aren’t telling you the truth. It is for this reason you should hire a professional who is experienced, the more the better, and has refined their art form and work flow.